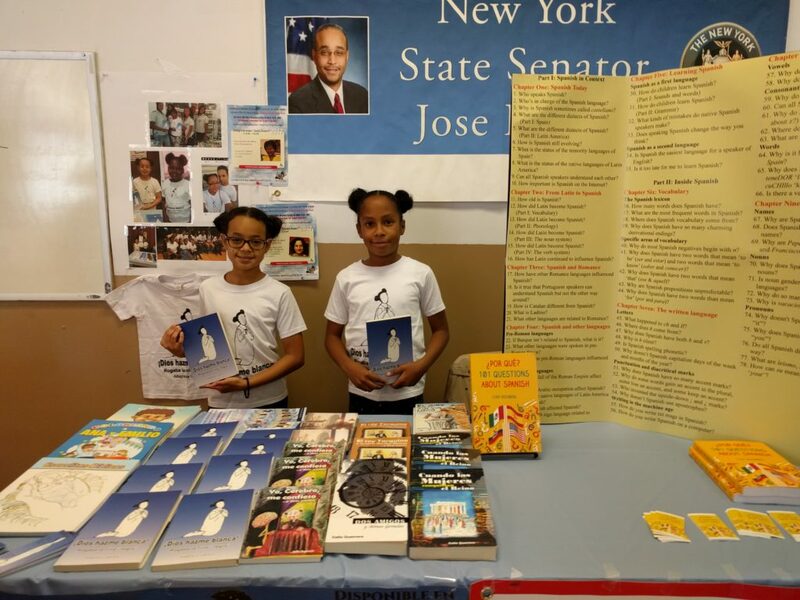 It was a real thrill to participate in this weekend’s Feria del Libro Hispana/Latina, organized by the Hispano/Latino Cultural Center of New York. Here are some takeaways from the event. There was genuine interest in my book! I sold several copies, and my talk on “Aspectos sobresalientes del español” (video below, text here) was well received. While I have always believed that ¿Por qué? 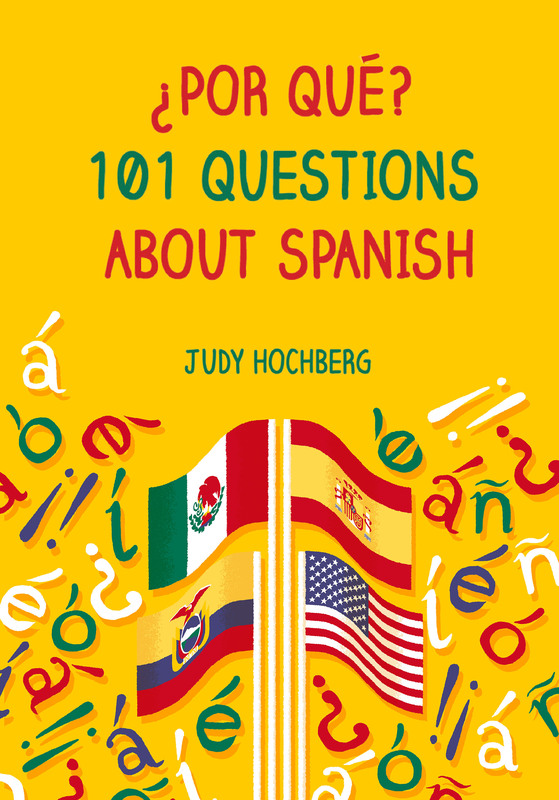 should be of interest to Hispanics as well as Spanish teachers, students, and linguists, this is my first proof. I will continue to work to identify other ways of reaching this community, and welcome any reader suggestions. 2. I fell in love with this year’s Feria’s honoree, the poet and translator Rhina Espaillat. She is one warm and classy lady, both accomplished and approachable. She gave a wonderful talk about the art of translation which included several examples of poems she has translated from English to Spanish and vice versa. 3. Another highlight was, surprisingly, a presentation by Mayra Faña on her new book El vino, La bebida intelectual. I say “surprising” because a wine book was the last thing I would have expected to be on the program, which leaned toward poetry. However, Sra. Faña is passionate about wine — her day job is, I think, in engineering, but she gives wine appreciation classes — and wrote the book as part of her crusade to increase appreciation and consumption of wine in the Hispanic community. Her talk was excellent; my favorite part was her discussion of the difference between Argentinian and Chilean wines. I am myself rather lazy/timid in the wine department, and buy only through established wine clubs. But if I wanted to read a book about wine, it would be this one. 4. I shared a table with Altagracia Cabrera, who has recently published a novel, ¡Dios hazme blanca!, about racial prejudice in the Dominican Republic. She brought her adorable granddaughter and grand-niece to the fair. In this picture you can see them holding copies of the book while wearing their abuela’s promotional T-shirts. 5. The event was catered by La Brisa restaurant in Jackson Heights. So good! But after three days of eating roast pork and tostones (fried plantains), it was a relief to cook up a batch of one of my favorite vegan soups, featuring yellow split peas and lots of vegetables. This entry was posted in ¿Por qué? 101 Questions about Spanish and tagged HLCCNY, Mayra Fana, Rhina Espaillat on 9 October, 2017 by jhochberg. Me encantó tu presentación. Muy interesante. Me descubrió cosas de mi propia lengua que desconocía.